An inconvenient part of life for many folks living in the Orlando area, rats have become all too common in our homes and businesses as they seek shelter and a place to nest for raising their young. Rats are able to sneak through even the smallest opening in a wall or roof, and even a small infestation can grow out of control before you know it, resulting in expensive damage to your home and serious health risks for you and your family. Because of the health risks associated with coming in contact with rats, we never recommend attempting to remove them on your own. DIY traps are only marginally effective, and can be dangerous for children or pets. 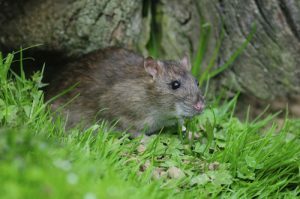 If you suspect that you have a rat infestation on your hands, hiring a professional removal service like Critter Control® of Orlando is your best option. With over 30 years of experience, you can trust Critter Control® of Orlando to get the job done right the first time. For any questions about our rat removal services or to schedule a home consultation, call us today at 407.295.7194.